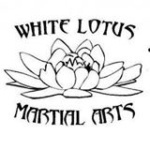 White Lotus Kick Boxing classes run at the Warndon Hub every Tuesday. Fitness is a brilliant way to boost well-being, socialise and stay healthy and active, whatever your age or ability. That’s why we offer classes tailored to suit everyone! This will be the ideal class to help you achieve all of those!! The Classes are open to anyone over 4 Years Old and there is no age limit.